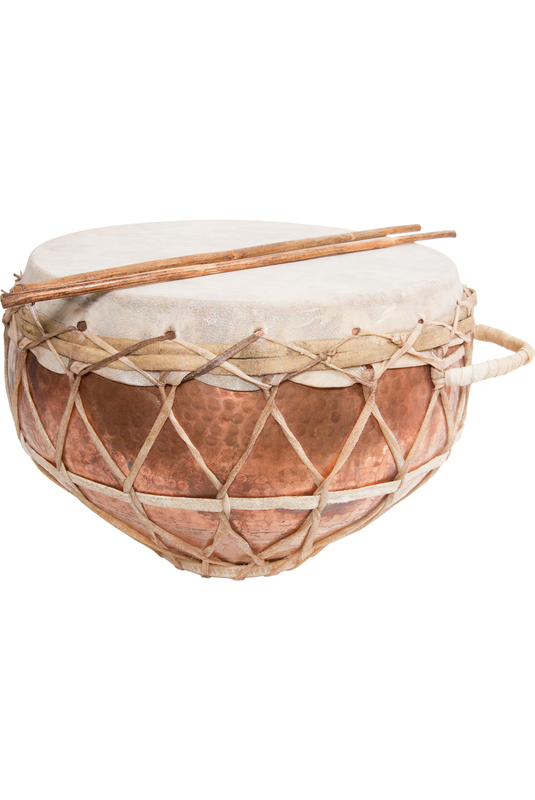 banjira 12 Inch Tasha Kettledrum Copper Goatskin Beaters. Tasha copper kettledrum with a 12 inch diameter that is approximately 8.5 inches deep 304.8 x 215.9 mm. Goatskin head held in place and tuned by laces. Comes with two beaters, of rattan or split bamboo.